Universal pain screening with a 0–10 pain intensity numeric rating scale (NRS) has been widely implemented in primary care. To evaluate the accuracy of the NRS as a screening test to identify primary care patients with clinically important pain. 275 adult clinic patients were enrolled from September 2005 to March 2006. We operationalized clinically important pain using two alternate definitions: (1) pain that interferes with functioning (Brief Pain Inventory interference scale ≥ 5) and (2) pain that motivates a physician visit (patient-reported reason for the visit). 22% of patients reported a pain symptom as the main reason for the visit. The most common pain locations were lower extremity (21%) and back/neck (18%). The area under the receiver operator characteristic curve for the NRS as a test for pain that interferes with functioning was 0.76, indicating fair accuracy. A pain screening NRS score of 1 was 69% sensitive (95% CI 60–78) for pain that interferes with functioning. Multilevel likelihood ratios for scores of 0, 1–3, 4–6, and 7–10 were 0.39 (0.29–0.53), 0.99 (0.38–2.60), 2.67 (1.56–4.57), and 5.60 (3.06–10.26), respectively. Results were similar when NRS scores were evaluated against the alternate definition of clinically important pain (pain that motivates a physician visit). The most commonly used measure for pain screening may have only modest accuracy for identifying patients with clinically important pain in primary care. Further research is needed to evaluate whether pain screening improves patient outcomes in primary care. 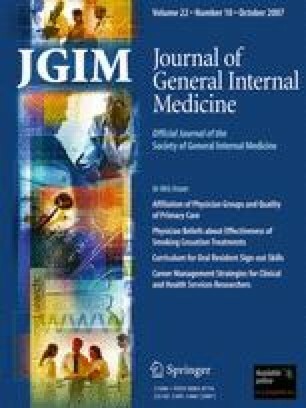 Earlier versions of this work were presented at the 2005 national meeting of the Robert Wood Johnson Clinical Scholars Program and the 2006 national meeting of the Society of General Internal Medicine. We thank Kristen Rake and Halle Amick for data collection and management, Joanne Garrett and Bob Konrad for assistance with data analysis, and Mike Pignone for his insightful critique and suggestions. Dr. Krebs was supported by the Robert Wood Johnson Clinical Scholars Program; Dr. Carey was supported in part by NIH grant 1RO1AR051970; and Dr. Weinberger was supported by an HSR&D Career Scientist Award from the Department of Veterans Affairs. The authors have no conflict of interest to report. The Robert Wood Johnson Foundation provided funding for this study through the Clinical Scholars Program but had no role in study design, analysis, interpretation, or drafting of the manuscript.